You awaken in a small guest chamber, deep within the Castle Marrach. Who are you? How did you come to be here? You explore the labyrinthine corridors of the Castle and the questions multiply. Why has the drawbridge not been let down in living memory? How does the Castle replenish its supplies? 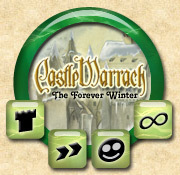 Intrigue, mystery, romance, and fantasy combine in the story of Castle Marrach. Long ago the world was at peace. Trolls, dragons, vampires, and the rest of Grendel's children warred against each other, and all was well. But then, the uglies came. The humans. A new age is dawning and a new war has begun. 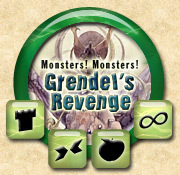 As a monster of Uthgol -- chimera, humanoid, or undead -- you must become one of the instruments of Grendel's Revenge. 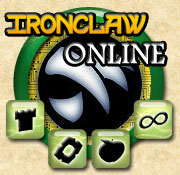 Ironclaw Online is an anthropomorphic role-playing game set at the cusp of change on the large island continent of Calabria. Many different sentient races, cultures, and societies are converging upon the dock town city of Triskellian. As a player, you will start with humble beginnings, only to become involved in machinations as each noble house vies for control and the guilds strive for power. Lovecraft Country: Arkham by Night is a prose roleplaying game based upon H.P. 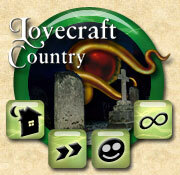 Lovecraft's horror stories of the Cthulhu Mythos. Enroll as a Freshman at Miskatonic University and begin to discover the secrets of this benighted town! Iridine is a vast and ancient metropolis, its origins lost in myth. It is the beloved city of the sun god, Ereal, said to be raised as a monument to his victories over the eclipsing moons. It is home to both the savagery of the great Coliseum and the refinement of the Senate, the twin centers of the mighty Iridine Republic. 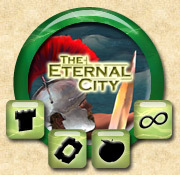 It is The Eternal City. It always has been and always will be. Man has reached for the stars, and beyond, but the ultimate achievement still eludes him. Now, within a geodesic dome located on a distant world, a small group of scientists have made their first strides in reaching this goal: conquering death. 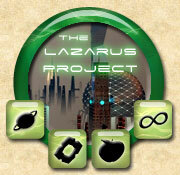 The Lazarus Project is a mix of a purely social roleplaying game, with elements of plotter-oriented storytelling and automated game missions. 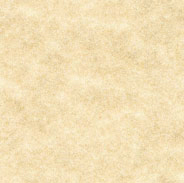 Skotos Prose Roleplaying games are interactive stories which give you the opportunity to become a part of fully imagined worlds that are limited only by your imagination.